Make yourself at home in one of the 220 air-conditioned guestrooms. Complimentary wireless Internet access keeps you connected, and cable programming is available for your entertainment. Private bathrooms with shower/tub combinations feature complimentary toiletries and hair dryers. Conveniences include complimentary weekday newspapers and coffee/tea makers, and housekeeping is provided on a limited basis. Make yourself at home in one of the 69 air-conditioned rooms featuring refrigerators and microwaves. Complimentary wireless Internet access keeps you connected, and cable programming is available for your entertainment. Partially open bathrooms with shower/tub combinations feature complimentary toiletries and hair dryers. Conveniences include complimentary newspapers and coffee/tea makers, and housekeeping is provided daily. 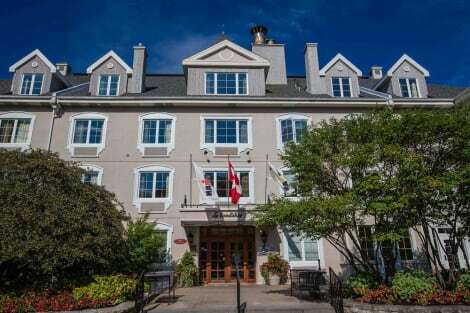 When you stay at Tremblant les Eaux by Location ADP Tremblant in Mont-Tremblant, you'll be next to a golf course, within a 5-minute drive of Mont-Tremblant Ski Resort and Mont-Tremblant Activity Centre. 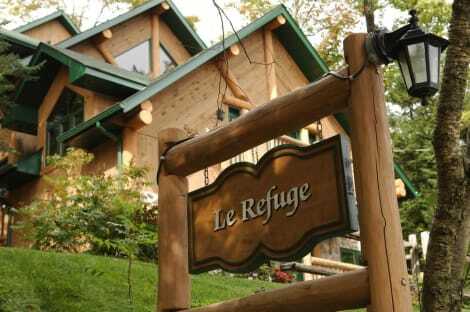 This casino condo is 3.4 mi (5.4 km) from Scandinave Spa Mont-Tremblant and 13.7 mi (22 km) from Mont-Blanc Ski Area. 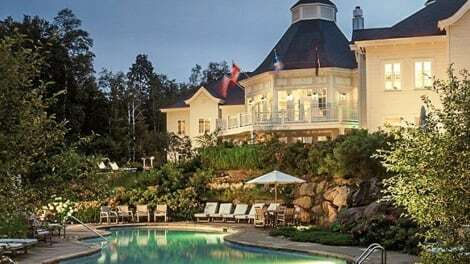 With a stay at Residence Inn by Marriott Mont Tremblant Manoir Labelle in Mont-Tremblant, you'll be a 3-minute drive from Mont-Tremblant Activity Centre and 7 minutes from Mont-Tremblant Ski Resort. 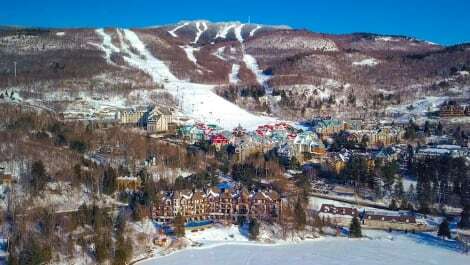 This family-friendly hotel is 3.2 mi (5.2 km) from Scandinave Spa Mont-Tremblant and 13.5 mi (21.8 km) from Mont-Blanc Ski Area. Pamper yourself with a visit to the spa, which offers body treatments and facials. You're sure to appreciate the convenience of ski-in/ski-out access at this resort, which also features a health club and an outdoor pool. This resort also features complimentary wireless Internet access, concierge services, and babysitting/childcare (surcharge). If you're ready for some gaming fun, you can hop on the complimentary casino shuttle. lastminute.com has a fantastic range of hotels in Mont-Tremblant, with everything from cheap hotels to luxurious five star accommodation available. We like to live up to our last minute name so remember you can book any one of our excellent Mont-Tremblant hotels up until midnight and stay the same night.